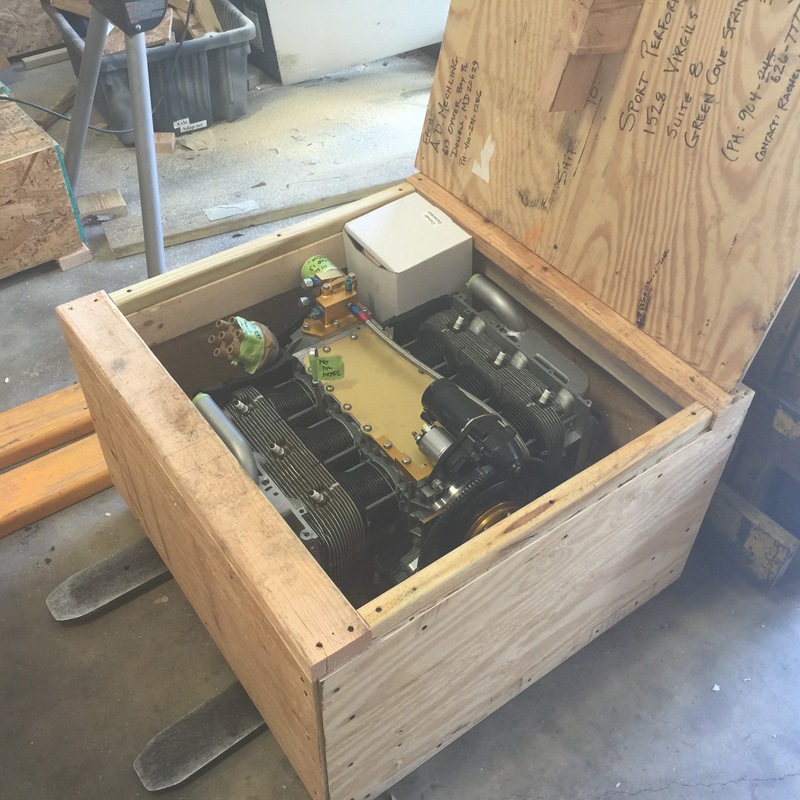 3,000 cc engines and parts going out the door. In the weeks before heading our on the Western College tour, we were productively making engines and parts so that SPA could ship them directly to builders who ordered them, even long after I was out at the Colleges. Many of these parts were also sold by SPA at their booth at Sun n Fun last week. This keeps the parts getting to builders even when I am very far away. If you missed the story about having the Weseman’s distribute our parts, read this: Outlook 2016, New order page and distribution method. Here are a few pictures from the weeks before I departed on the current trip. 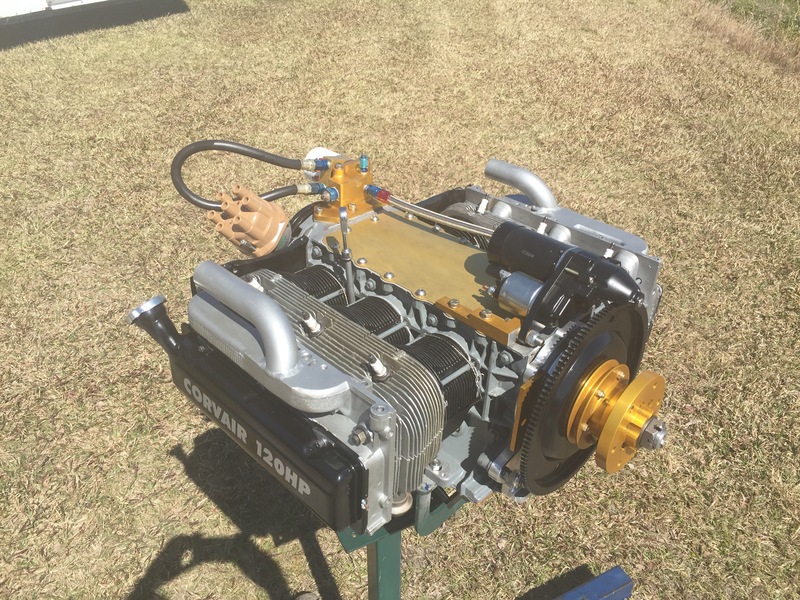 I assembled and test ram three 3,000 cc engines, and made large quantizes Of HV-2000 oil cases ( http://shop.flycorvair.com/product/2000-rear-oil-case-group/ ) 1100 cam kits ( http://shop.flycorvair.com/product/1100-cam-shaft-kit/) and E/P-X distributors (http://shop.flycorvair.com/product/3301-epx-distributor/) If you have a specific question on availability, you can send a message to the contact info on the order page, or you can call the Wesemans direct at 904-626-7777. Above, a 3,000 cc Corvair destined for Fred Thomas’s Zenith 750, during it’s break in run in my front yard. 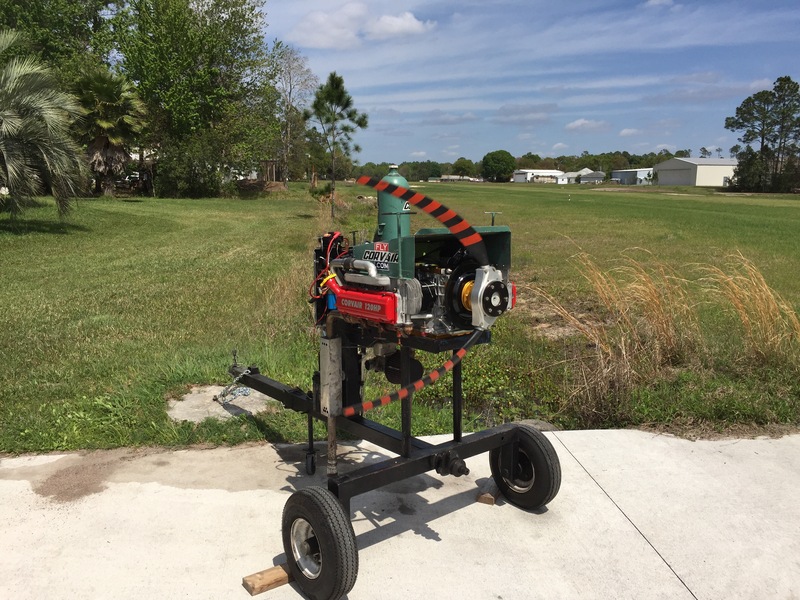 Like the other two 3,000 cc engines, this one features a Weseman Gen II crank and 5th bearing, and their piston/rod/cylinder kit, as well as heads the make. In 2016, we have a new engine ordering system and pricing, for a look, read this: Outlook 2016, Ordering a Completed Engine. Above, a different 3,000 cc engine after it break in run. This engine is now on the front of Jan Riddenour’s Tailwind in Idaho. I was able to build and test run all three engines, and make the other parts in 5 weeks because of two factors: Having the Weseman’s running the distribution of parts takes a large task off my plate, and secondly, Between our catalog of parts and theirs, we had every part needed on the shelf to build the engines, which eliminated contacting a lot of different sources or waiting for heads from the former supplier. Dan and Rachel carefully QA/QC all of their parts not just to make sure they meet spec. but also to insure that they are compatible on the finest detail with all other engine parts we offer, to eliminate any snags which crop up from suppliers who may make a good part, but don’t care if it is truly compatible with the other parts you are using. Above a glance at the shipping room at SPA/Panther. All of the 6x6x18 boxes in the foreground are either an 1100 cam kit, a set of valve covers, or an E/P distributor. The stacks of parts in bins or on the left are all stuff that was shipped to builders for Colleges on the western tour. The Weseman’s have excellent ordering systems, integrated records inventory tracking, and shipping records. While Grace and I always kept good records, it never operated anywhere near the level built into the SPA/Panther system. 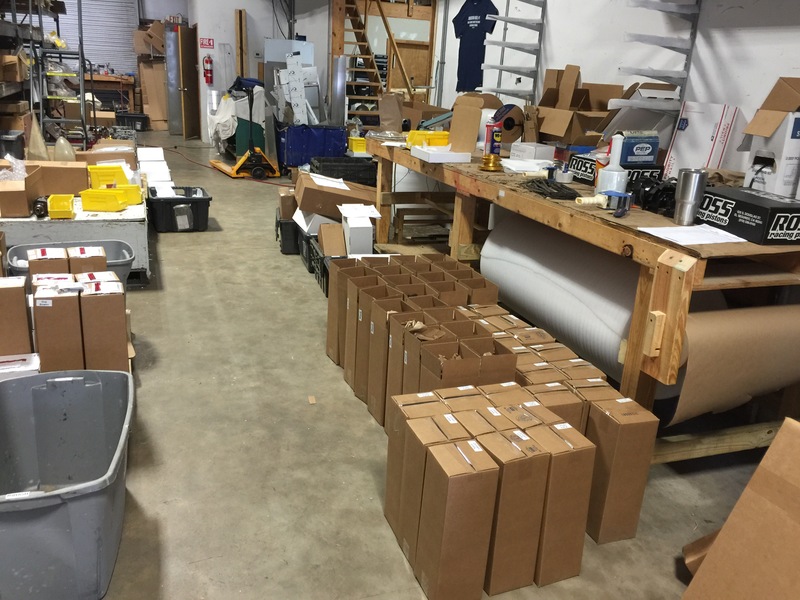 Distributing our parts is actually a small organizational task in comparison to organizing the 100’s of individual parts that go into perfectly complete kit like a Panther. When I saw how well they handeled the Panther parts, it made sense to ask them to take care of our parts with the same system. One Response to 3,000 cc engines and parts going out the door. I’ve received tracking info. My 3L parts are on the way! !